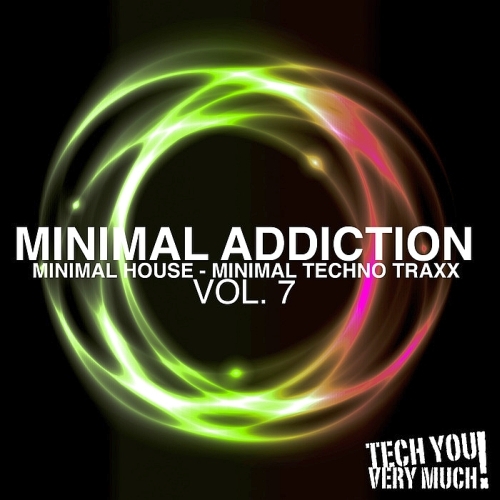 Here we rock with the 7th edition of Minimal Addiction! We don't have to write long stories. As the name implies it's a minimal thing! Here are again the DJ friendly minimal house, minimal techno and techno tracks on one compilation package! The new disc of "Serwo Schamutzki & Kosta Aldente - To Go" will appear shortly on "Deich Records". The magnificent work is pressed and sold in good old Mani on vinyl.Enzo Leep is a young sevillan artist who is undoubtedly one of the most promising Spanish artists. His career as a producer is short, but very efficient. He has released many songs in labels like Tip Tap, Kosmophono, Deep Tech, Yoruba, Organic Music or Eklektisch, among others, and Vinyls for Heisenberg and Soon on Musiq, Ellarum, PUNCHIS, Handcrfated & Rewire Musik. Funky, Minimal, Tech House | Tech You Very Much!